I've been back in Sussex this weekend, walking along one of my favourite stretches of coast. Yesterday I walked along the Cuckmere river estuary to the sea at Cuckmere Haven. 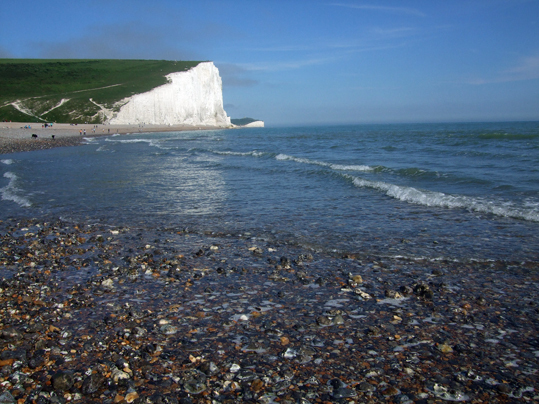 This was the view where the river finally met the sea, with a view outwards and along to the Seven Sisters cliffs. Yes, the area is a tourist hotspot. It is not a place to go if you want to get a beach all to yourself on a sunny day - but it is a beautiful walk with a great view at the end.